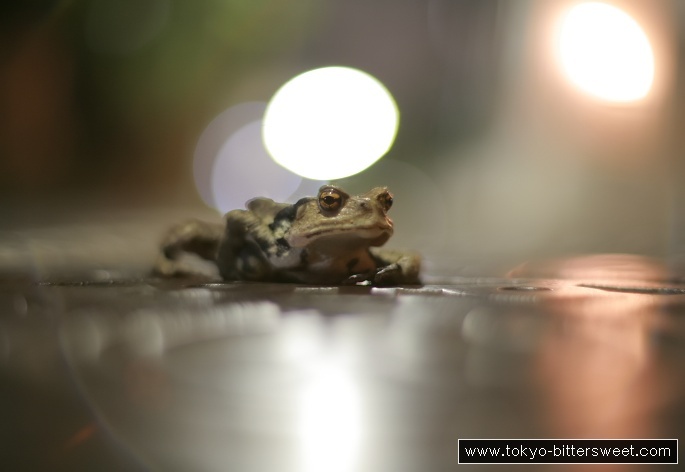 At night toads are a not-that-uncommon sight on the streets of residential Tokyo. And these critters can grow pretty big, although the one shown here is not one of the big ones. As I am not an amphibiologist I cannot say for sure which species this is, perhaps an Australian cane toad? After I took this picture I moved it from the street to a nearby front yard, so it would not be run over by a car.